And he began to be in need…. This story is all of our stories in one way or another. We are either on the outside of the loving father’s house looking in, or on the inside looking out. But to place the importance of the story on the younger brother or the older brother is to miss the main point of this parable. Jesus was clear about “the first shall be last, the last shall be first”, and where we are in the line is mostly important to those who are willing to to shove others out of the way in order to be first. The point of the story is to understand the heart of God towards us. No matter where we are in line. In reality both the younger and older son had the same agenda. They wanted what the father had to offer on their own terms. One so he could go his own way and do as he pleased, the other because he felt his father owed it to him. They both missed the the simple truth. A Fathers love does not require the prerequisites of what we have done or not done. Grace is not earned nor can it be. The message over 2000 years later has not changed. God still welcomes everyone to the party. Those who have just arrived and those who are willing to come outside. What we want does not always deliver what we need. Our self centered desires will always outrun our ability to satisfy them. When you get to the end of your rope don’t tie a knot and hang on. Let go. There is only one direction from bottom. Up. You are not a victim of circumstance, you are a product of your decisions. Dorothy was right. There is no place like home. We do not know if the older brother ever joined the party or not. It does not matter when or how you get home. It only matters that you arrive. 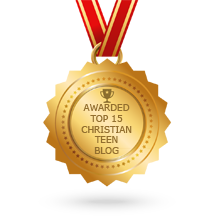 This entry was posted in A CLICK A BLESSING TODAY, Christian Teens Blog JF, CHRISTIAN TEENS BLOGS, Christian Teens Blogs - He is my Peace, Christian Teens Blogs - He is my Peace, Light and Refuge, CHRISTIAN URDU BLOGS, TAPESTRY TREASURES and tagged forgiveness, grace, home, prodigal. Bookmark the permalink.